It was a warm July morning. On my road to my clinic I was enjoying this last day before my holiday. Although tired and eager to enjoy my holiday, the fact that this was my last day with my patients before my long awaited holiday gave me a boost of joyfulness and energy. I could not anticipate the sudden change of mood that was to follow. Irene, 28 years old, greeted me when i arrived at my clinic. She was already there, waiting for me, with her ever present smile which was also a good disguise for her pervasive frustration with life. We had started our sessions together some three months ago, and I was somewhat frustrated too that we would not get to complete our work together as she was about to move to Austria with work in less than three months' time. It was slightly irritating to me that she had weaved her life scenario in such a way which did not allow for truly significant work to be done on her way of coping with life, which was to run away from facing life and bury her frustration deep inside herself. So much so it had become a physical problem for her as well - facial hair, hormonal imbalances, etc. And in her leaving to work in Austria I saw another running away, but this time in a way that undermined the very work we were doing on her tendency, as we would obviously have to terminate therapy prematurely. This was something that was bothering me. It felt like unfinished business. And especially before my holiday, I didn't like the idea of leaving things unfinished. I was, however, very aware of the fact that our relationship, which was good, was also quite new and was not ripe to sustain major earthquakes that would come with deep transformations. Challenging a patient's life scenario is a monumental task, as it means to challenge the very core of his belief system. And this belief system is very closely guarded. Change is dangerous because it goes against stability. And for better or for worse, the status quo represents that person's way of handling life and its difficulties. Challenging that, even though the purpose may be to construct a better, more enabling way to view life and respond to its difficulties, will usually meet with strong resistance from the patient. Such a challenge has to be planned and delivered at the precise moment the patient is ready and in the appropriate dosage and way so that he can accept it and embrace it. It is because of difficulties like these that therapy is both an art and a science. Every time i had tried to confront Irene with a preview of her own demons in order to gauge her readiness to plunge deeper, she showed an understanding of what i was saying, but greeted this reality in a rational and social way with her ever-present social and frustrated smile, avoiding to truly delve into those dark depths. I couldn't blame her. Our sessions had been quite enjoyable, but we had just laid the groundwork for truly significant deep work. With upcoming holidays after which she would leave the country within a few weeks, however, I was confronted with the problem of how to make sure that we touched on the significant issues for her before she left without hurting our therapeutic relationship and also making sure she would leave for Austria in a way that would allow her to function properly and contain her emotions. Her childhood had been marred by the fact that her father had continuously cheated on her mother. And her mother had not stood up to him and had just accepted the status quo. Irene's attitude had been to encourage her mother to stand up to him, to quit the relationship, to divorce him, to do anything, yet all her pleas came to nothing. Hence, Irene had grown up associating intimacy with betrayal, and also a dualistic approach to taking an attitude. She had embodied her mother's anger and frustration, but also her lack of power to truly change things and touch upon the essence. She had learned from a young age that being a woman had its disadvantages, as she associated femininity with being cheated upon and taken advantage of. Therefore, her attitude had become bitter and masculine, and that had started to manifest somatically - she had increased levels of testosterone, had abnormal hair growth in various places on her body (including beard hairs), her menstrual cycle was all but non-existent, which were the reasons for her initial presentation for treatment, as well as a deep and pervasive level of frustration with life. "So how are you this fine morning, Irene?" I asked, putting aside all these thoughts about the stages of therapy that i would have liked us to go through before she left and continuing to enjoy my beautiful last morning at work. 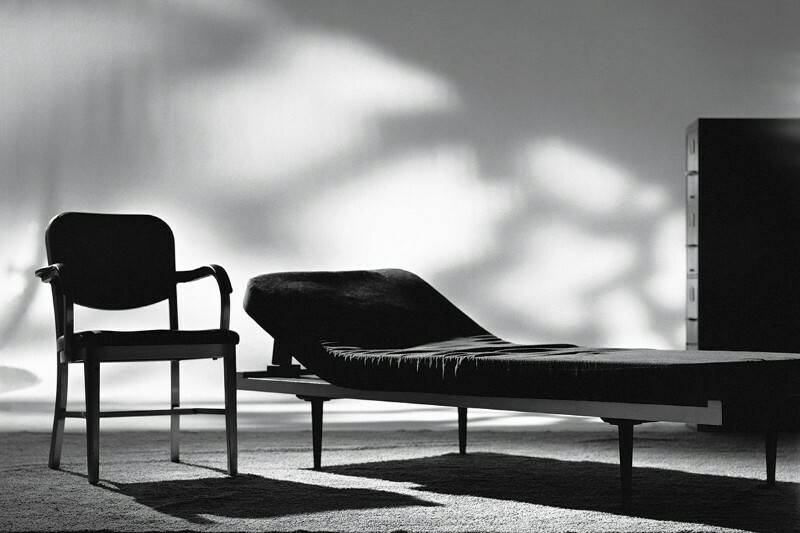 One of the most important lessons I had learned about therapy is that every patient has his own rhythm and that i was not responsible for my patients' evolution and healing. My only responsibility was to do my best and assist them in their change to the best of my abilities. From there on, however, it was every patient for himself. In my earlier years as a therapist i had hit my head on the same brick wall countless times, when i found myself wanting my patients' healing more than they did. 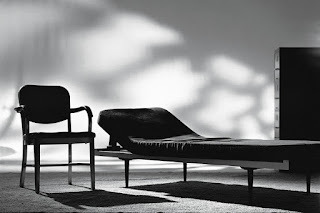 Somehow, it had been a matter of being "a good enough" therapist. But in my own eyes being good enough had meant that i was only good enough if every patient got better. It was with the help of my supervisor that i had learned that the therapeutic encounter is a co-created relationship, and that I could not and should not try to control the outcome of the encounter, nor take complete responsibility for the final outcome. Not everybody was truly ready to embrace change and healing, because they came at a big price - the sacrifice of the stability of the status quo. And this decision, to embark upon months and sometimes years of painful probing of one's psychological innards for the holy grail of personal development and deliverance from one's suffering and failing, repetitive life scenarios - this was the individual choice of each patient. My responsibility was to be a guide and assistant to those that chose to walk that difficult path. My motivation? The laurels of victory and personal transformation of those that had gone through the process and had come out the other side to a life completely and permanently transformed for the better. For each of these patients there had come a moment in our therapy, when understanding the magnitude of what we had achieved working together, they greeted me with a gaze in which they put all the recognition and gratefulness that they were capable of for my helping them achieve such a monumental transformation. Invariably those were times of silence, because words could not truly express the importance of this transformation, their gratefulness to me for me being there for them every step of the way through their pits and falls, through their despair and fears, a constant beacon of hope on the horizon of their stormy sea. And how I cherished those moments! That look in their eyes - worth more than gold! It was those precious minutes and the creation of such a strong bond beyond words, cemented in the months and years we had spent in the blaze of the fire of awareness, and the blows of life that we together transformed into hammer blows of a cosmic hammer on the anvil of life, modeling the iron of their future being. Was I selfish in ever wanting more of these moments for myself? Of course, there was that too. But there was also the satisfaction of having achieved meaning in life, meaning through helping another achieve transformation and give meaning to his own life, helping another manifest his or her own potential.